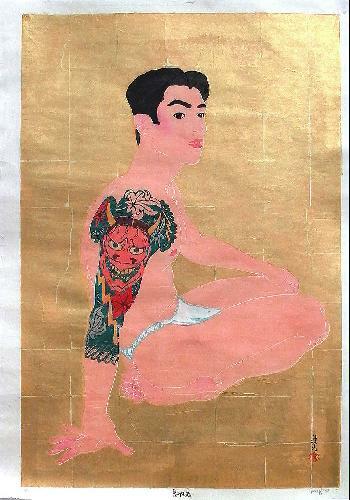 Ura Hannya - behind the Hannya mask - the version with fundoshi (loincloth). The last available copy of an edition of only 20. The loincloth (in fact a separate woodblock print) in the picture is removable.